Pediatrics, low vision, medical management (glaucoma/cataracts/macular degeneration), binocular vision/post-concussion assessment, LASIK and other refractive surgeries, and specialty contact lens fittings. Dr. Maharaj is a University of Waterloo graduate from the class of 2012. She obtained both her Honours Bachelor of Science degree, and her Doctor of Optometry degree while at Waterloo. Dr. Maharaj completed one of her clinical internships at a Veteran’s medical center in Pennsylvania, where she was able to develop her skills in the detection and management of various ocular diseases. She also interned with Dr. Debbie Luk, Developmental Optometrist in Calgary, where she studied advanced Vision Therapy techniques. This helped her gain a keen interest in helping patients manage binocular vision deficiencies which can affect scholastic ability and affect learning. She studied advanced therapy applications for concussion patients, helping with their recuperative abilities and regaining critical vision functions. Dr. Maharaj is certified to prescribe therapeutic pharmaceutical agents for the treatment of eye disease. 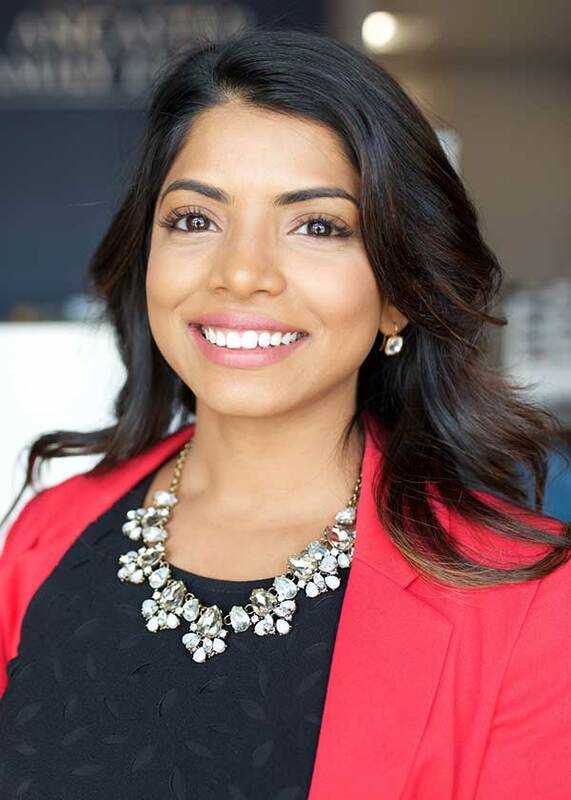 She is a member of the Ontario Associate of Optometrists, the Canadian Association of Optometrists, and is an Affiliate Doctor with TLC Laser Eye Centers. She lives in Waterdown. Besides healing eyes, she enjoys hiking and gardening. Dr. Maharaj loves working with children. 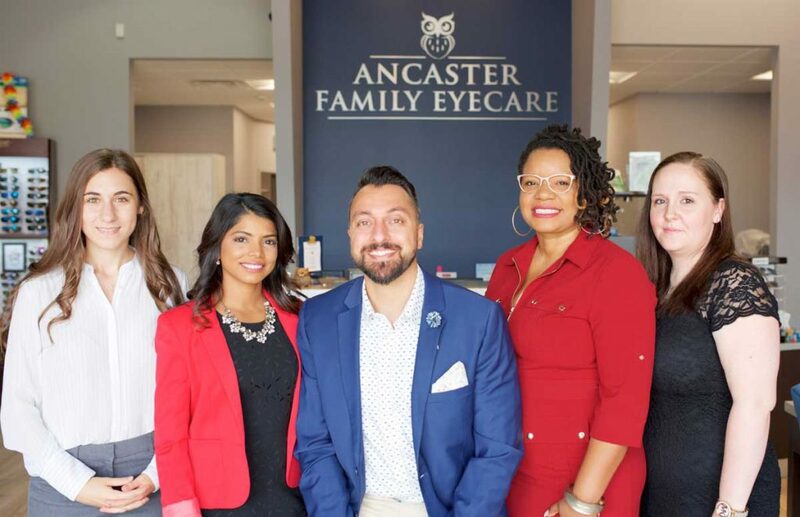 She looks forward to caring for the vision and eye health of the families in the Ancaster community from infancy to adulthood, providing the tools they need to see life clearly. 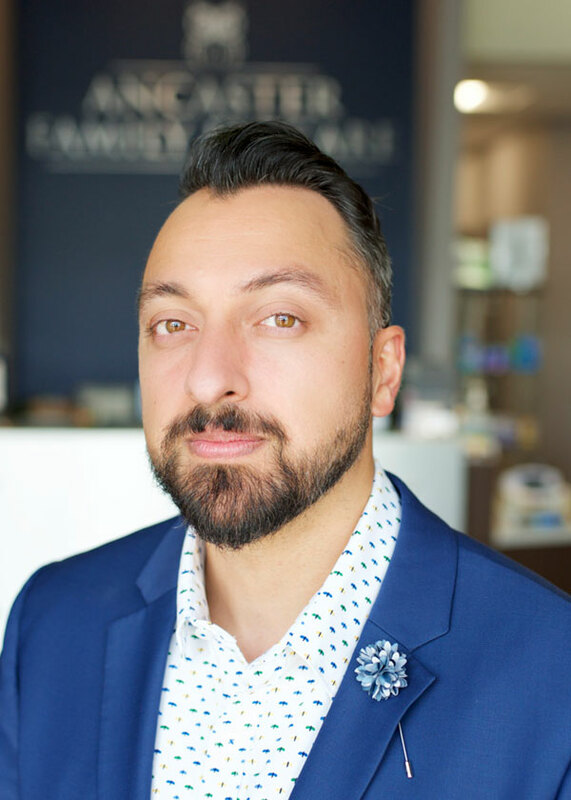 Dr. Vikram Singh has an honours bachelor of science degree from the University of Western Ontario and completed his Doctor of Optometry degree at the University of Waterloo. While attaining his degree in optometry, Dr. Singh worked with a pediatric and binocular vision specialist during his clinical externships and continues to enjoy pediatric eye examinations and infant eye care to this day. Dr. Singh also completed an externship at the Veteran Affairs Hospital in Lexington, Kentucky, U.S.A. While at the hospital he learned how to diagnose, treat and manage chronic conditions such as glaucoma and macular degeneration. Dr. Singh grew up in Cambridge Ontario and currently resides in Waterdown Ontario. He enjoys physical fitness and playing both basketball and volleyball. Dr. Singh became an optometrist to help his patients experience their life to the fullest with clear comfortable vision. He has been practicing for 4 years and has enjoyed every minute. Dr. Singh looks forward to helping you and your families keep your eyes healthy while managing any of your eye care needs. Beth has worked in the optical industry for the past 9 years. She started in a lab in London where she learned everything about the basics of lenses and how they help our everyday life. She learned how to make glasses from the beginning to the end. 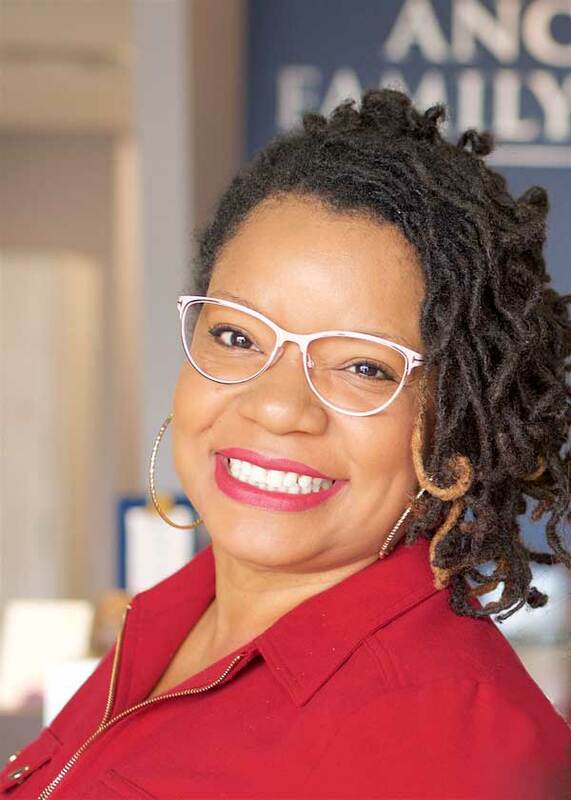 She then moved on to an optical office and worked in the opposite side of the optical industry where she helped patients find the type of glasses and lenses that would help them in their everyday life. 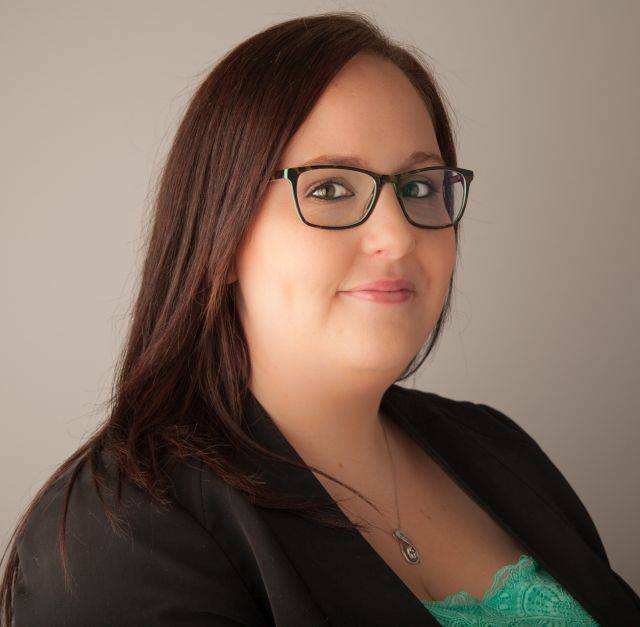 Beth enjoys working with the public and seeing patients leave the office happy and confident with their choice of eyewear. Shervaughn is new to Optometry but comes with 15 years of Health Services Industry knowledge. She graduated from Mohawk College in 2003 with her Diploma in Healthcare Administration. Over the years she has accumulated experience in many disciplines within medical care. She is a sociable and outgoing person that enjoys interacting with the public. When Shervaughn isn’t busy being a mom, she enjoys gardening and cooking in her spare time. Jessica is a student in the Honours Biology program at McMaster University working to obtain her Bachelor’s of Science degree. She plans to attend optometry school following graduation to pursue a career as an optometrist. Jessica is passionate about educating others about vision health and learning about ocular diseases. Her duties include preliminary testing, visual field testing and retinal imaging. 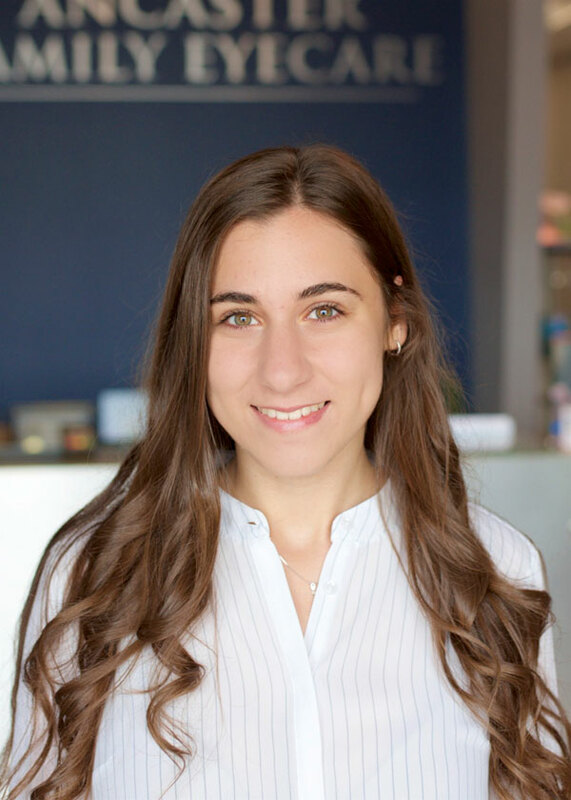 She also enjoys spreading awareness about Ancaster Family Eyecare and the importance of vision health online through creative social media posts. Jessica grew up in Ancaster, Ontario and has been actively involved in her community. Outside of work, Jessica enjoys playing sports such as basketball and soccer, while also working as a Teaching Assistant at McMaster. Jessica loves interacting with patients and helping patients pick out their perfect frames.